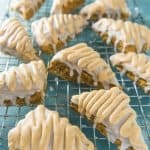 Tender, perfectly spiced and twice glazed pumpkin scones are one of my favorite fall treats! 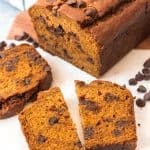 This Starbucks copycat recipe is one I look forward to every year and make as soon as we start waking up to a chill in the air. At the law firm I worked for just out of law school, there was a secretary named Lena who loved to bake and made the most amazing scones ever. Once every couple of months or so, she would show up in the morning with dozens of scones to share with everybody, in at least 2 or 3 varieties. I fell in love with scones thanks to her amazing Maple Bacon scones, her bright and juicy Lemon Blueberry Scones, and her Chocolate Chip Scones. 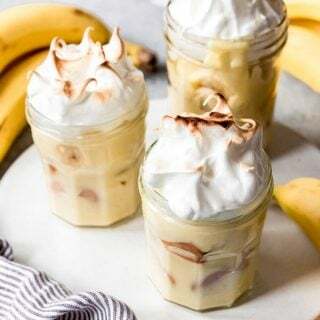 I’m going to have to recreate them since I left the firm 4 years ago to stay home with our girls and I miss those amazing creations! 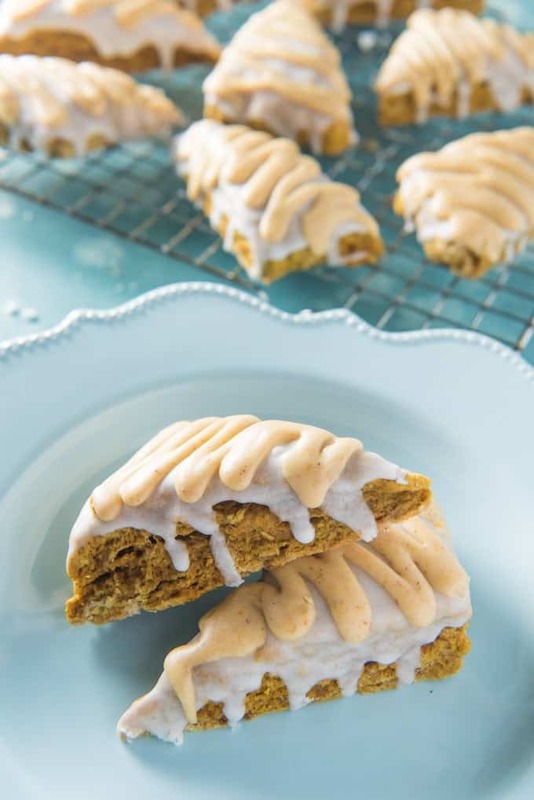 But possibly my favorite scone ever is this pumpkin version that is a knockoff of the twice glazed pumpkin scones that Starbucks puts out each fall. 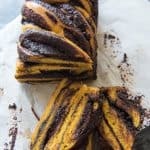 As long as I’m already posting about pumpkin recipes like the Pumpkin Chocolate Babka that I made for the BreadBakers challenge, I thought I would share this favorite fall treat that I make every year. 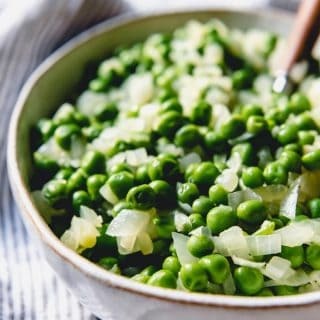 It really isn’t much of a secret as the recipe has been all over the internet for years now in some form or another, but it is definitely worth repeating (and adding my own little tweaks and tips to the recipe and method). 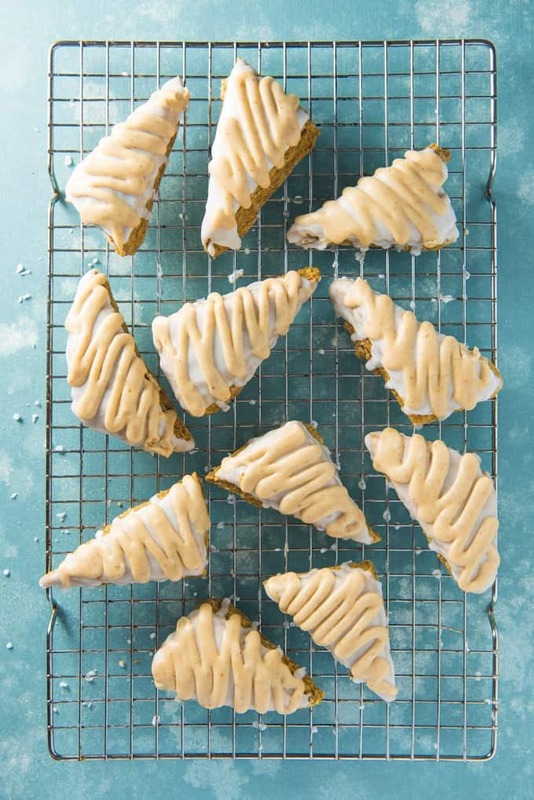 These pumpkin scones are super sweet thanks to two different glazes that top the soft, pumpkin spiced scone beneath, which honestly is good enough to stand on its own if you want to avoid the sugar rush. Paul, who pooh-poohed scones for ages as too dry or bland or boring, loves these scones and asks me to make them whenever his office is having fall bake sales or just as a treat to take to work to share with his co-workers. I totally get why he had bad feelings toward scones as there are too many depressingly boring scones in the world, but when done right, scones have their own unique texture and flavors that are really special and definitely worth the effort. A big part of getting it right (at least in my limited experience with scones having grown up in the USA where scones and afternoon tea aren’t a thing like they are in Great Britain), is choosing flavors and mix-ins that add interest to your scones. Like cranberries and orange zest. Or lemon and vanilla. Or pumpkin and pumpkin pie spices. And I’m always a sucker for a nice glaze drizzles over the top. 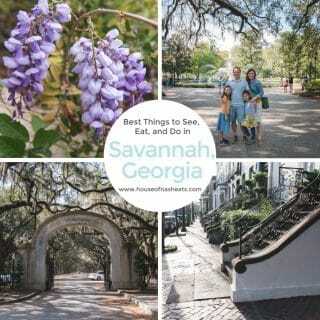 Here are my other pointers that I have found to be helpful for making scones that turn out perfectly every time. 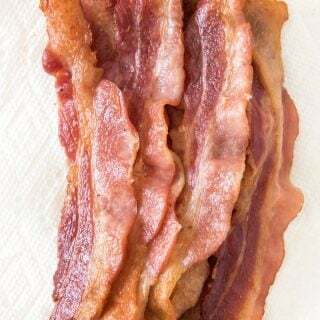 Tip 1: Use cold butter. Keeping your butter cold creates little pockets and layers when the scones bake that give them their distinctive texture. 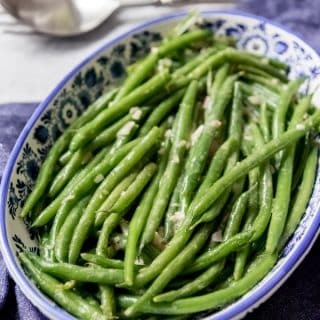 Just leave your butter in the fridge right until you are ready to add it to your dough, and then handle it as little as possible so it doesn’t start to warm up. Tip 2: Don’t overmix the dough. You really just need the scone dough to start coming together when you stir the liquids into your dry ingredients. But it’s totally normal for there to be streaks of flour when you turn your dough onto the surface you plan to use to shape your scones. Just gently knead or press it together 3 or 4 times once you turn it out of the bowl and it will hold together. Tip 3: Keep your surface floured. Make sure you are patting out your scone dough on a lightly floured surface and that your scones don’t start sticking as you are shaping them. If they do, then just add more flour to the surface or your hands. I also found that it helped to flour the knife I used to cut the scones into triangles. 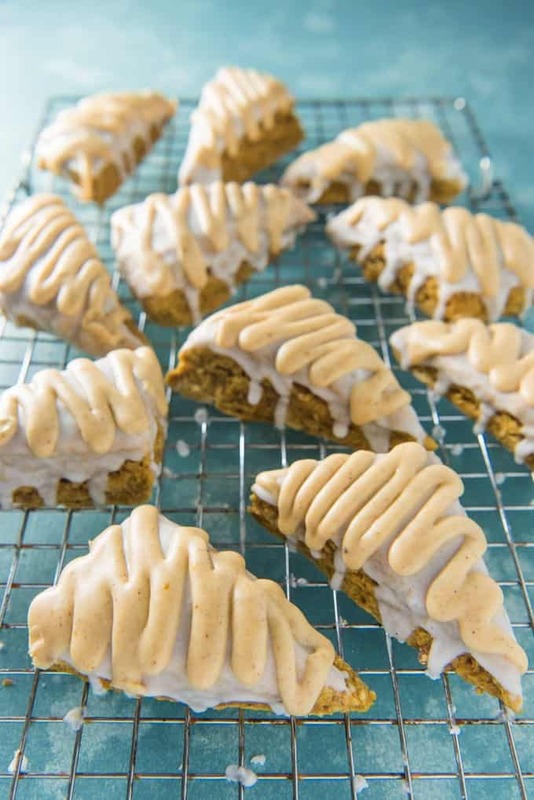 With these twice glazed copycat Starbucks pumpkin scones, you will want to let them cool completely before taking each one and dipping it into a bowl of the first simple glaze that is just a mix of powdered sugar and cream. 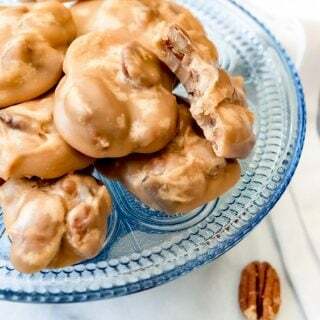 Then once that has set for 10-15 minutes (really, just long enough to dip each of the scones and then make the second glaze), you can drizzle or pipe the pumpkin pie spice glaze over the top. Both glazes should be pretty well set after just 20 or 30 minutes, but they stay soft so be careful when storing these for transport to keep them in one layer or else all the glaze will get stuck to the bottoms of scones lying on top of other scones. But if kept in an airtight container, these scones will stay fresh and yummy for 3-4 days. In a large bowl, whisk together the flour, brown sugar, baking powder, soda, salt, cinnamon, ginger, cloves, and nutmeg. Using a pastry cutter or two knives, cut the cold butter into the flour mixer until it looks like coarse crumbs. In a separate bowl, whisk together the pumpkin puree, molasses, cream, vanilla and egg. Stir pumpkin mixture into the flour mixture just until a soft dough starts to come together. It's okay if there is still some visible flour - you don't want to overmix. Transfer the dough onto a lightly floured surface and knead three or four times, just until it all comes together. 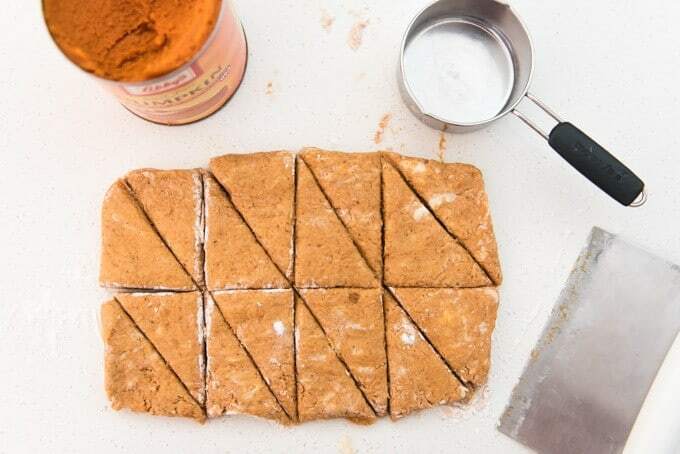 Pat the dough into a 10-inch by 7-inch rectangle, then use a sharp knife or pizza cutter, cut the rectangle in half lengthwise, then make 4 even cuts crosswise, creating 8 rectangles. Next, cut each rectangle in half on the diagonal, creating 16 triangles (see image in blog post). 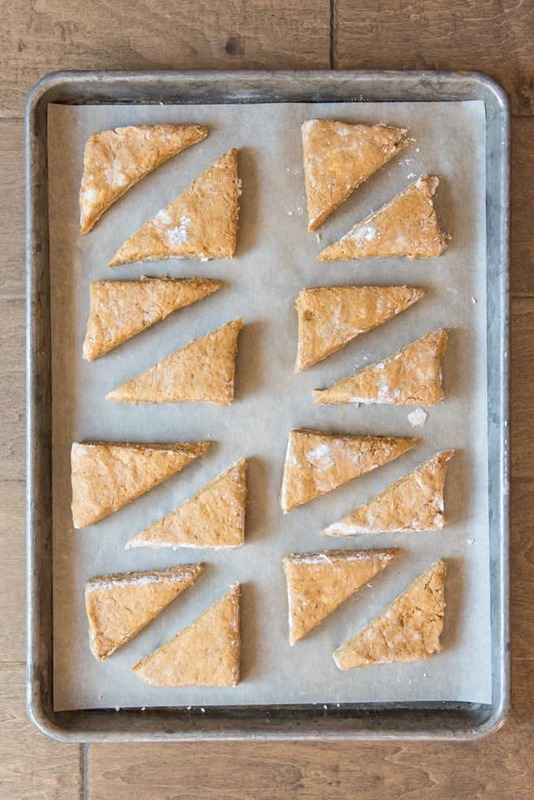 Transfer the scones to the prepared baking sheet, then bake for 10 to 15 minutes or until a toothpick inserted into the middle of a scone comes out clean. Do not overbake. Transfer to a wire rack to cool completely. 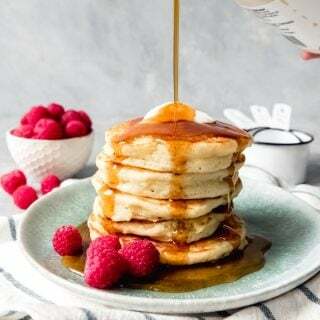 To make the simple sugar glaze, combine the powdered sugar and 2 tablespoons of cream in a medium bowl and stir to combine. If the glaze is too thick, add a little more cream at a time. 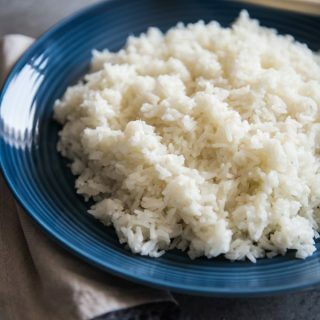 If it is too thin, add more powdered sugar, one tablespoon at a time, until the glaze reaches a consistency where it slowly drizzles back into the bowl when you pick up a spoonful of it. Dip each cooled scone directly into the simple sugar glaze, then place glazed side up back onto the cooling rack. 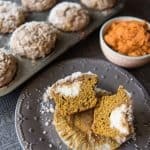 Make the pumpkin spice glaze by combining the powdered sugar, pumpkin puree, cinnamon, ginger, cloves, nutmeg and 2 tablespoons of cream in another bowl. Check the consistency and adjust using the same method as the simple sugar glaze. Spoon the pumpkin spice glaze into a Ziploc bag, seal, then snip off the tip of one corner to create a simple piping bag. Drizzle onto each scone in a zigzag pattern, then allow to set a bit before serving. If you don't have cream on hand, just use milk and they will turn out fine. Adapted from Damn Delicious.